My day today was filled with gifts and surprises. This is one of the advantages that a teacher could get during Teacher's Day.I received a magic mug, a sign pen, a fan, a meal ticket for free lunch, and a cup cake! Anyway, to all my co-teachers out there, let us continue to make a difference! 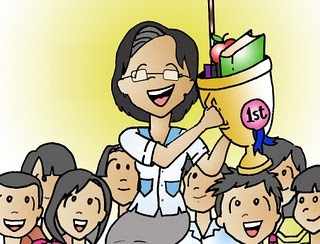 Let us also live with this year's theme: "Teachers for Gender Equality".